Disclosure: I received a copy of this book thanks to the publisher, thoughts are my own. Happy Monday everyone! It's a bit of a later post over here but I really wanted to share a quick reading update with all of you. I love sharing my thoughts on books with reviews but I really want to mix it up more here on the blog. That takes time though which isn't always something I have a lot of. Are you following me on Instagram yet? If not you can find me @samsbooks1020 (you can also find me on Twitter and Goodreads with this same handle). But anyways....on Instagram I mentioned that this month I'm trying to focus on reading some of the review copies that are piling up on my nightstand. My pile was getting kind of high (for me at least) and I didn't want it to get out of control. So far both of the books that I've read this month are off of that pile so I feel successful already! My current read is a NetGalley book but this also counts since it is a review copy (I just mentioned my print copies on Instagram). I'm SUPER behind on my NetGalley reads as well - although when am I not is probably an accurate statement honestly. Regardless, I feel like I'm making some good progress and knocking out some of those "should" reads. After this though I seriously need to mix in some backlist books because I'm slacking there this year. I've been focusing so much this year on newer releases when I usually mix it up. 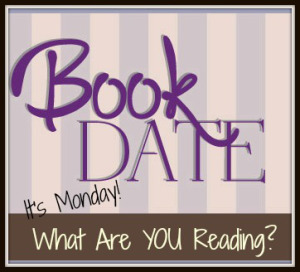 Maybe I'll do a backlist May or something.....but on to the books I've been reading! 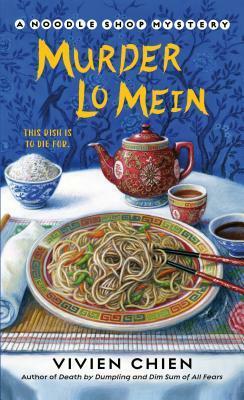 Murder Lo Mein by Vivien Chien was a fun cozy mystery that has me excited to read the other books in this series. I've actually already shared my thoughts on it here if you are interested. A Beautiful Corpse by Christi Daugherty was an amazing addition to this mystery series (book one just released last year so you don't have too many books to catch up on if you are interested). This book was even better than book one - my thoughts will be up on this one hopefully later this week. Fierce Justice by Piper J. Drake was an enjoyable romantic suspense and also the first book I finished off of my review stack this month. I'll be sharing my full thoughts on it hopefully soon as well. Summer in Paris by Sarah Morgan was SO, SO good! I'm really looking forward to sharing my thoughts on this one but I will tell you this - I felt a personal connection to this one which is why I couldn't help but love it so much. SO good! I'm really enjoying it so far but won't be sharing my thoughts on this one until next month. I'm participating in a blog tour for it so will be sharing my review then. I'm off to focus on my laundry piles and watch a little television. "After suddenly inheriting a funeral home from her father--who she hadn't heard from in decades--Ilka Jensen has impulsively abandoned her quiet life in Denmark to visit the small town in rural Wisconsin where her father lived. There, she's devastated to discover her father's second family: a stepmother and two half sisters she never knew existed. And who aren't the least bit welcoming, despite Ilka's efforts to reach out. 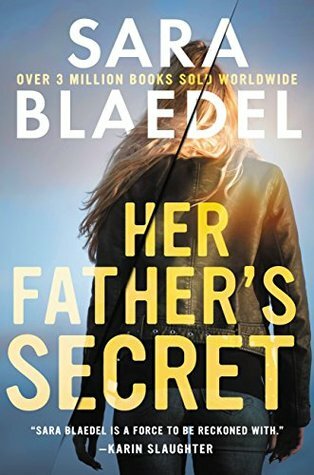 The more Ilka digs into her father's past, the more deeply entangled she becomes in a family drama that has spanned decades and claimed more than one life--and she may be the next victim..."
Her Father's Secret was an enjoyable read that has me itching to pick up the previous book in this series. Yep, I started yet again in the middle of a series. In this case it was only book two but it still seems as I never read in order. I will admit that it took me a few chapters to really get into this book. It may have been the fact that I jumped in without having read that first book (I do honestly believe that was the reason). It just took me a bit to catch on to what was going on and what had happened. But before long I found myself just caught up within the mystery of Ilka's father and the life he had led in this small Wisconsin town. I loved the fact that this book felt very real to life. Ilka is struggling financially after basically inheriting all of her father's debt and trying to figure out if she should close the business he left of her because of it. This isn't something that is just mentioned and then forgotten either; instead, it played a prominent role throughout the book. It just felt so real to life for me which kept me reading wanting to see how everything would work out. I felt this attachment to the funeral home that her father had left Ilka because it was really the only thing that she had left of her father. This was a book that I took my time with and just enjoyed. It didn't feel like a book that needed to be rushed in the slightest, so I just let the author pull me along for the ride. I enjoyed every minute of it! That being said, the ending was much more surprising than I expected. 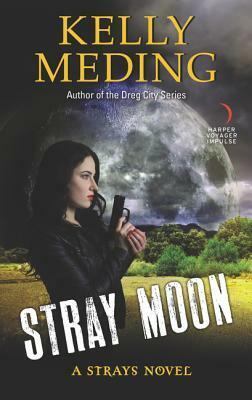 It left me seriously wishing for (and looking forward to) the third book in this series! But first I think that I had better go back and see how this all started with that first book I missed. Overall, I enjoyed my time with this book and am eager to continue on with this series. 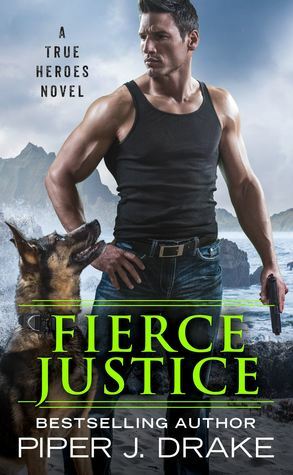 I'm kind of kicking myself though because I have had this author's books on my TBR list for awhile now. I feel like I've been missing out not having read them. Once I finish the first book in this series, I will give her other series a try too! I do think that readers should probably try reading this series in order. While it didn't end up effecting my enjoyment overall, it did take me time to really catch on to what was happening with this book and the why's at first because I hadn't read that first book. This is a quieter mystery and one that I would almost label as a domestic mystery. Don't let that description deter you though because it was really good! I'm super excited to have finally given this author a try and that I have more books to look forward to. I would recommend this book to both mystery and suspense fans. Recommended! Bottom Line: A mystery that I took my time with - it was perfect to cozy up with and enjoy over long afternoons and evenings! "Lana Lee’s stake in her family’s Chinese restaurant is higher than ever now that she’s been made manager. So when she enters Ho-Lee into Cleveland’s Best Noodle Contest, Lana makes it her business to win—at all costs. But when a local food critic receives a threatening note in a fortune cookie and is later found dead, face-down in a bowl of lo mein, all bets are off. . .
Now, along with her sweet-and-sour boyfriend Detective Adam Trudeau, Lana decides to take matters into her own hands and dig into the lives of everyone involved in the contest. But when she receives an ill-fated fortune, Lana realizes that in order to save the reputation of her restaurant, she needs to save herself first. . "
Murder Lo Mein was a fun cozy mystery that has left me itching to catch up with the other books in the series! I'm notorious for starting and reading series books out of order which is exactly what happened here. This is only book three so I'm not too far behind, but I also jumped right into the middle of this series. Honestly, it didn't effect my enjoyment in the slightest! I found myself caught up in the pages of this book on the hunt for the murderer right alongside Lana Lee. 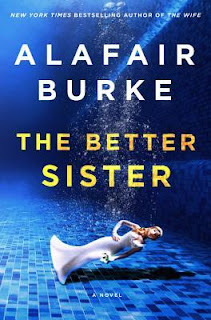 She's a great main character and both her and her family were fun to read about! I'm sure that I'm missing out on some details and background thanks to not having read the first two books but it really didn't seem to matter. I was still just swept away by the noodle contest and the hunt for the murderer. There were plenty of suspects to choose from and I'm pretty sure that I suspected them all at one point or another. My one and only complaint is that I would have loved more food descriptions because everything she ate sounded so delicious. This only comes from the fact that many of the cozies I read are more food focused so I was hoping for this to be the same. It wasn't but it still left me very hungry and craving spring rolls more than once! I especially appreciated all of the secondary characters in this book including Lana's grandmother. 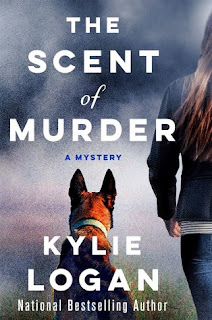 One of the things that I love about cozy mysteries is that they usually have great characters and this book was no different. I'm eager to get back to the first book and see how Lana and Adam first met! Overall, this was an enjoyable read that has me excited about this new to me cozy mystery series! I'm already planning on reading the first two books in the very near future so that I can be all caught up with the series before the next book releases. I'm definitely looking forward to seeing what kind of trouble Lana can get herself into next! Side note here but how great is the title of this book?!? I absolutely love it to be honest! It's cute and catchy which fits with this book perfectly! I was left guessing until the end of this book which is always a plus as well. All of this adds up to make a very easy book for me to recommend! Bottom Line: An enjoyable read that made me instantly want to catch up with the rest of the series! "Florence Lovelady's career was made when she convicted coffin-maker Larry Glassbrook of a series of child murders 30 years ago in a small village in Lancashire. Like something out of a nightmare, the victims were buried alive. Florence was able to solve the mystery and get a confession out of Larry before more children were murdered., and he spent the rest of his life in prison. Sharon Bolton is one of my favorite authors for a reason and books like this are exactly why! Wow, wow, wow - this book sure creeped me out at times! It was everything that I absolutely love in a thriller though. It was dark, twisted, and filled with suspense that kept me reading nonstop. 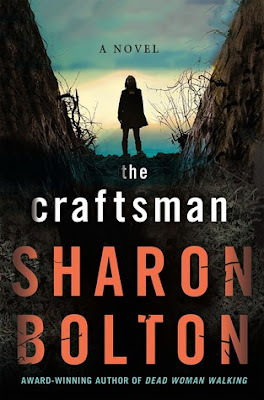 Sharon Bolton is the queen at creating these eerie books where you are kept guessing the entire time. What I loved about this book was the way that it was set up. I don't think it spoils anything to say that it goes from present day to the past and then back again to the present day. And it sets up everything just beautifully by doing it this way. This book also has a hint of the paranormal to it that gives the book an even darker feel. Florence was a great main character to follow and I especially liked that we had the chance to see the struggles that she went through as a female police officer back at the beginning of her career. This case shaped her career and really her life afterwards. The entire book was just so compelling and nail bitingly good! I felt like I just flew through the pages of this book as I didn't want to stop reading. The descriptions especially at the beginning of the young girl waking up in a coffin had this claustrophobic feel to them.....it was disturbing to say the least! I was guessing throughout the entire book on what was really going on. I had my theories and while some of it turned out to be correct - it wasn't for the reasons I thought and basically was still left stunned by the ending. My one and only complaint was that I wasn't sure how I felt about the ending of the book. I had to think about it for a day or two because it was good and it did all work if that makes sense. It definitely wasn't what I expected though and yet it fits. I don't even know how to explain it but I wasn't sure on it at first and now that I've thought on it more I feel like it was the right ending for the book. I don't want to say any more than that. Overall, this book was just as good as I hoped and expected it would be! It was all of my favorite things about thrillers and mysteries wrapped into one really great book! I'm especially excited because it looks like it may be the start of a series. I'm intrigued to say the least! It didn't necessarily feel like a book that was going to be the beginning of a series when it ended but I'm so here for it! I would love to read more about Florence! This is definitely going to be one of those rare books that ends up on my best of list by the end of the year! The creepy factor alone was enough to get my heart racing! And then you add everything else up to it for one perfect read. I would recommend this book to fans of mysteries and thrillers easily. I cannot recommend this author enough honestly! If you haven't read her Lacey Flint series yet, then check those books out too! She is just SO good and this book is another perfect example of that!! Bottom Line: This book is a perfect example of why I love this author so much - a five star read for sure! Disclosure: I checked this book out from my local library. 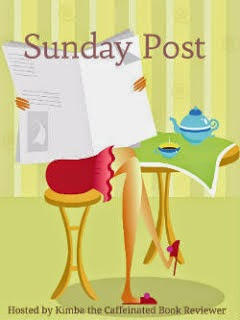 Happy Sunday friends! I've been reading up a storm lately (or at least it feels like it). All I can really say is about time because neither January or February were very impressive for me in terms of reading numbers. I'm still behind on my reading goal for Goodreads but now it's down to like three books behind on my reading schedule or something like that. I'm sure I will catch up eventually....or I won't and that is okay too I suppose. There hasn't been much else new around here otherwise. My oldest and I have been driving more together as he is soon going to be able to get his license. It's pretty crazy (and a bit stressful) to think about. The time just flies! Softball and baseball season is set to start up in a few short weeks which is exciting assuming the weather cooperates. It's doubtful as we had a beautiful day yesterday and then overnight it snowed and covered the ground with about an inch again. My youngest was not happy as he has been playing outside nonstop this week with the nicer weather. The Craftsman by Sharon Bolton was SO CREEPY! This is one of my very favorite authors and there are so many reasons why but books like this are exactly why! I'm still working on writing up my full thoughts on this book but hopefully I'll post my review sometime this week. Devil's Daughter by Lisa Kleypas was an absolutely delightful read that I enjoyed immensely. This was my first read by Kleypas but it was just as good as I had heard it would be. I'm so excited that I have so many of her other books to look forward to! I've already shared my thoughts on this book here if you are interested. Her Father's Secret by Sara Blaedel was a compelling mystery that is part of a series I'm looking forward to reading more of. This is book two in the series and I'm going to need to go back and catch up with that first book soon. It was a quieter read but I enjoyed it all the more because of it! I also need to work on writing up my thoughts to this book as well. 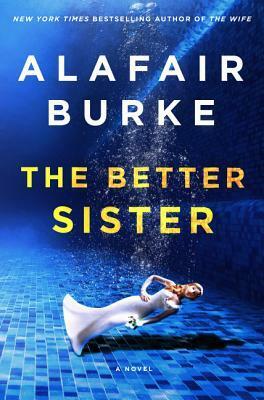 The Better Sister by Alafair Burke was a thrilling read that kept me glued to the pages the entire time! I loved the premise of this one and was so completely hooked that I couldn't set this book down. This book doesn't come out until next month so I won't be sharing my thoughts until closer to the release date. If you get the chance though, add this one to your TBR because it is worth the read for sure! 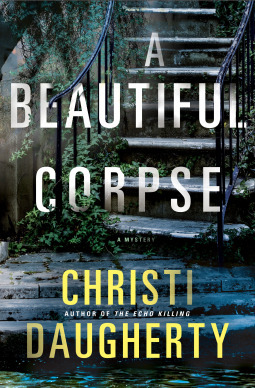 A Beautiful Corpse by Christi Daugherty is my current print read and I actually haven't started it yet. I read the first book in this series (The Echo Killing) last year and really enjoyed it! I've been looking forward to reading this one every since then. 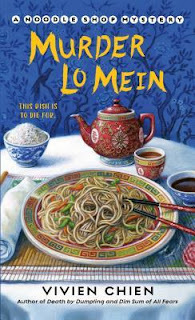 On my kindle I'm reading Murder Lo Mein by Vivien Chien. I actually haven't read the first two books in this series yet, but I've enjoyed what I've read of this one so far! I'm looking forward to continuing on and hopefully reading this one later this afternoon. Plans for the rest of the day include relaxing and laundry. I'm looking forward to the new episode of the The Walking Dead tonight as usual. I've actually been binge re-watching the series from the beginning and there are so many characters that I miss now! Glenn - ugh! But it is fun so I might watch a little bit more of that today as well. I'm off to get my day started! "Although beautiful young widow Phoebe, Lady Clare, has never met West Ravenel, she knows one thing for certain: he's a mean, rotten bully. Back in boarding school, he made her late husband's life a misery, and she'll never forgive him for it. But when Phoebe attends a family wedding, she encounters a dashing and impossibly charming stranger who sends a fire-and-ice jolt of attraction through her. And then he introduces himself...as none other than West Ravenel. Before long, Phoebe sets out to seduce the man who has awakened her fiery nature and shown her unimaginable pleasure. Will their overwhelming passion be enough to overcome the obstacles of the past?" Whelp! 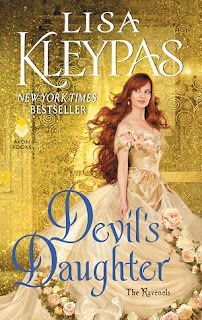 I read my first book by Kleypas and now I'm completely hooked! I started this book only knowing that I had previously heard tons of high praise for Lisa Kleypas and her historical romances. Let me tell you that I can honestly join in on singing this author's praises now! I was hooked on this book from the very beginning. I was so completely invested in the relationship developing between West and Phoebe. 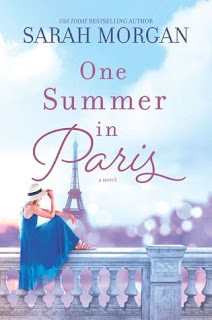 What I really liked about this book is that the author took a difficult situation with the recent death of Phoebe's husband, whom she genuinely loved, and still managed to create a believable romance between her and West that I could't help but root for. West was delightful to read about and not at all what I expected him to be from reading the summary of this book. He was just perfect for Phoebe in every way even if neither of them knew it right away! I literally could not stop reading this book! I found myself sneaking in pages every free second that I had (and that's no exaggeration). That feeling of anticipation and would they be able to get their happy ever after kept me reading long after I should have gone to bed. And I enjoyed every minute of it! I also have to say that I really appreciated that Phoebe's husband was remembered in a positive way. I think this comes from me reading so many thrillers where the deceased spouse may not have been the best type of person but I didn't feel like this author went there at all. She kept the love between Phoebe and him as something separate but important all the same. I also felt like it opened Phoebe up to an even deeper relationship with West which I adored. If all of the books in this series are this good, I am certainly in for a treat! I feel like I say this every time but with books this good, I really, really need to add more historical romances to my reading life! Overall, I enjoyed this book immensely and will certainly be reading more by this author! I have a few of her other romances already on my shelves but I think that I would like to start at the beginning of this series first and catch up. I've heard such good things about the earlier books so I want to read the rest of the books before trying anything else. Plus, the covers for this book and the rest of the series are absolutely gorgeous!! I am so glad that I've finally read this author and will not be waiting long before reading more by her. I would recommend this book to fans of romance and historical romances alike. As will most historical romances, you don't have to read these in order. I certainly didn't and it didn't effect my enjoyment in the slightest. Highly recommended! Bottom Line: A book that I couldn't help but fall a little bit in love with! Source: I received a copy of this book thanks to the publisher. All thoughts are my own. "What if the person you love most in the world was in terrible danger … because of you? Toni’s mind is trapped in a world of silence, her only chance to save herself is to manage the impossible. She must find a way to make herself heard. She must find her daughter. " 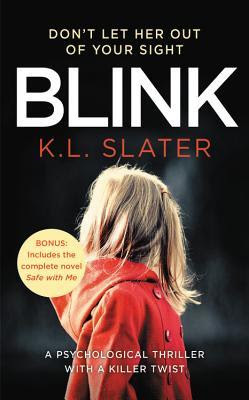 Blink is one of those thrillers that knocked me for a complete loop! I really don't want to give anything away so I'm going to be very careful in the details I share and how I talk about this book. I'm going to have to be deliberately vague at times but it is for the best of reasons. I want you to have the same kind of reading experience that I did!!! Let this author take you for a thrilling and unexpected ride because it is well worth the trip! I started out reading this one a bit annoyed with Toni. I'm a bit over the main characters that aren't always likable so I was hesitant to say the least. It was different with this book because the author gives valid reasons for the way she behaves. But that didn't stop me from wanting to scream at her a few different times because ugh! Before I knew it though, I was completely wrapped up in the pages of this book. I read the above summary so I thought that I knew what I was getting into but it turned out I didn't. And then I hit a certain point of the book and that was it for me. I couldn't stop reading from that point on. I'm going to be honest and say that I think that this book could have been a bit longer. The author could have drawn it out just a bit more and given a few more details. That's rare for me to say but it did feel very fast after a certain point. It was quite the ending and left me so excited to read more by this author though! Overall, I'm so glad that I have now found this author and have another of her books just waiting to be read. The edition that I read actually included another of her books, Safe With Me, and I'm really looking forward to reading it soon. I loved that my expectations of this book were shattered but in the best kind of way. I'm a back cover/summary reader always. I like having an idea of what the book is about before I start reading. I've always been like that. So for an author to take those expectations of what I came into this book thinking it was going to be and then just shake them to the core.....it was an experience I won't be forgetting anytime soon. I was able to guess a few aspects of the ending but it was still quite the ride for me! I'm eager to chat about this book with other readers and get their thoughts on it! I would recommend this book to fans of thrillers and suspense! Bottom Line: An unexpected reading experience that I really enjoyed!